Your son/daughter must be present. Su niño/niña debe estar presente. It’s time again to gear up for our Backpack Project! Every fall when school starts, children ask the pastor, do you have an extra backpack? Do you have any paper, pencils or pens I can use? Many of the families in our community do not have the resources to buy what their families need for school, and unlike the old days, schools no longer can afford to supply their needs. That’s where our church comes in! 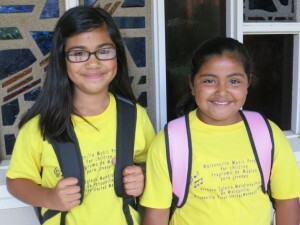 Last year we partnered with the Aptos Community United Methodist Church to collect over a $1,000 to fill 70 backpacks filled with school supplies for children and youth in our community. The list of supplies needed for school is long and detailed, including paper, glue, scissors, notebooks and binders. Once the money is collected, retired teacher Ruth Landmann (from Aptos UMC) contacts our local school district, and buys what the schools require. Your generosity reached around the world! In preparation for our Backpack Sunday (and the free giveaway) this year at our church on Sunday, August 17th after worship, volunteers will join the Aptos Community United Methodist Church, 221 Thunderbird Drive, to stuff the backpacks at 9:00 am, Saturday, August 9th. If you’d like to help please come! 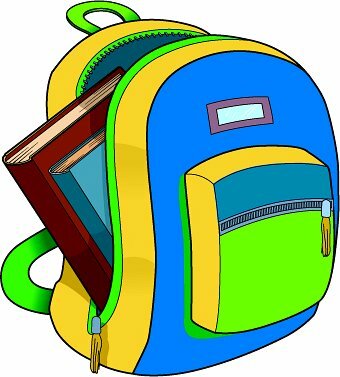 If you’d like to contribute funds, just remember to write Backpack Project on the memo line of your check, or if you are donating cash, please put it in an envelope labeled Backpack Project, and turn it into our church office or the offering plate on Sunday.